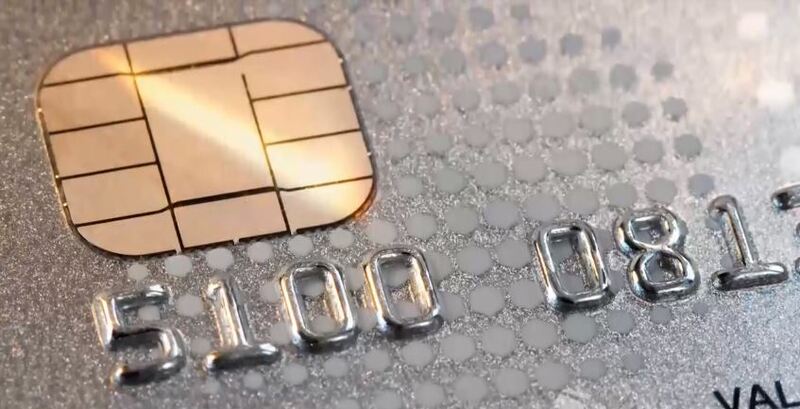 Due to rising incidents of fraud and data theft, credit card issuers and merchants switched to using EMV technology to authenticate transactions. Taking its name from Europay, Mastercard, and Visa, EMV was developed as far back as the mid-1990s, but the technology was only widely adopted in the US with the advent of the liability shift in October 2015. This shift meant that the least EMV-compliant party in a payment process would be the one held liable for fraudulent transactions. The use of cards with magnetic strips slowly gave way to the use of the newer more secure EMV cards. EMV uses small chips or microprocessor to store information, perform processing, and generate dynamic data for every transaction. This makes it nearly impossible to replicate transaction code and create counterfeit cards. Meanwhile, mag stripe cards store unchanging data on sensitive cardholder information that are easy to duplicate. Because of its security features, EMV-enabled cards significantly reduced fraud-related incidents. According to Visa, merchants accepting ‘chip cards’ reported a drop in counterfeit fraud losses by 58 percent in December 2016 when compared to December of the previous year. Similarly, Mastercard fraud data also saw a 54 percent decline in counterfeit fraud from April 2015 to April 2016. The migration to chip technology may be slow but looks encouraging. During the recent Secure Technology Alliance Payments Summit, keynote speaker Stephanie Ericksen of Visa revealed that 96 percent of the company’s payment volume at point-of-sale (POS) use EMV cards. In addition, 59 percent of POS terminals in the US accept chip cards—an impressive growth since the liability shift. Fraud reduction is the biggest benefit for merchants upon shifting to EMV technology. Compliance with the standard also limits the financial liability of business owners if they process a fraudulent transaction. Customers also seem to prefer using EMV-enabled terminals that offer more security. In fact, a 2016 survey by NerdWallet revealed that 43 percent of respondents prefer using chip cards for in-store purchases. Chip technology helped combat fraud in face-to-face settings, like grocery stores checkout lanes, that use counterfeit cards. But it did not completely eliminate data theft and other types of fraud. Fraudsters have shifted their focus to card-not-present (CNP) fraud on transactions done via phone or online. The threat becomes even more significant as the eCommerce in the US grows at an exponential pace. According to Brett McDowell of the FIDO Alliance, 50 percent of reported fraudulent transactions are attributed to CNP fraud. The majority of data breaches in 2016 were due to weak or stolen passwords. This indicates the need for stronger authentication and identity verification processes to better secure the overall payments system, including the EMV ecosystem. Despite the achievements and progress in EMV migration of the payments industry, business leaders acknowledge that there is more work to be done. They are also upbeat on the next step in the chip card transition—contactless payments. Dual-interface EMV cards can also have contactless card reading or near field communication (NFC) features. Consumers only have to tap their card on the terminal scanner for faster checkout. However, there are several hurdles to this technology, such as lack of acceptance, confusion among users, and few companies issuing NFC-capable cards. There is more to the future of payments, including embedding biometric readers on cards to verify a cardholder’s identity. Industry leaders are also looking at cryptocurrencies, artificial intelligence, and blockchain as other forms of payment technologies.